WE ARE SPECIALISTS IN VEHICLE WARRANTIES IN PETERBOROUGH. Included with any car you buy from Automotion Peterborough is a 3 month parts and labour warranty underwritten by Automotion Peterborough, it will give you time to get to know your new car and to be confident in the quality of your purchase. But what about longer term peace of mind ? We’ve thought of that too. We can help you add even more peace of mind with a wide range of extended warranties offered in conjunction with our partner RAC Warranty, a leading global provider of warranty related products and services. You can choose from 1, 2, or 3 year policies to suit your individual needs. There are different levels of cover to choose from too. 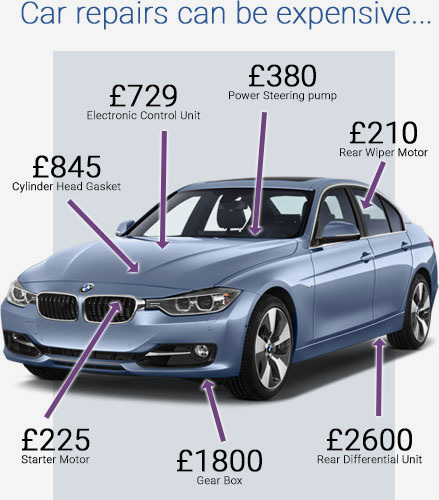 See our Price chart and warranty package details below and contact a member of our team for further details. Parts are included providing the conditions of this agreement including servicing requirements are complied with. Drive System (Front / Rear) Excluding: Beam axle and bearings, radius arm and bearings, rubber gaiters all other parts not listed.